Shelby- The shrouds have five steel pins holding them together which need to be gently prised apart. Take care as it's easy to do damage to the soft plastic of the shrouds. My now seemingly rare 27mm moscart arrived in the post today (i decided that the shotgun shells weren't ideal as you need to keep buying replacement caps and paper plugs). Just offered it up to the GL to see how it looks size wise. That's as far forward as it goes! Looks like this may be quite tricky to do! Obviously the racking mechanism will have to be moved or replaced altogether to make room. I'm hoping Noble chimes in with a few tips at this point! From the UK here - is there any chance in the world I can acquire a steel spas-12 cage for the mod? if you get sufficient post count you can get access the classified section a guy sells them from time to time but they are a couple hundred quid now. I modded a bunch of stuff on my Snow Wolf. Spas cage was replaced with a real one, added a JW Tulsa ten hole vent, resculpted the horrible square end caps on the shroud, replaced the counter with a Majenko wired to the gearbox and added a sling ring on the stock. I made an aluminium grenade on the lathe, which I wanted to function as the shotgun shell does in the Snow Wolf. Since I replaced the grenade launcher with a real Spas, I had to create a custom mechanism so the pump slides back to show the grenade, and to hold the batteries. Added GL trigger. 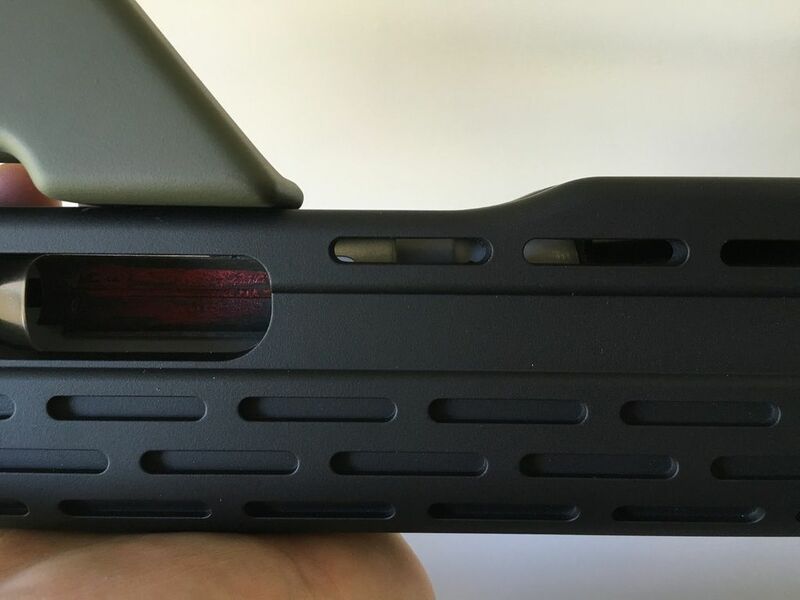 Finally the shroud was resprayed with a BB matched paint, a red acylic window added to the counter, and I added a Noble mag-base lock, modified so the black tabs are located on the shround and not the base. How did you wire up the mejenko ammo counter unit? I just purchased one myself and am in the process of installing it. Any help would be greatly appreciated good sir Also where in the heck did you find a 10 hole vent??? You lucky devil! What's the purpose of changing the ammo counter? Also, I don't suppose anyone is offering modding services for a price? Like, send them your gun, they do the work, ship it back, etc.? 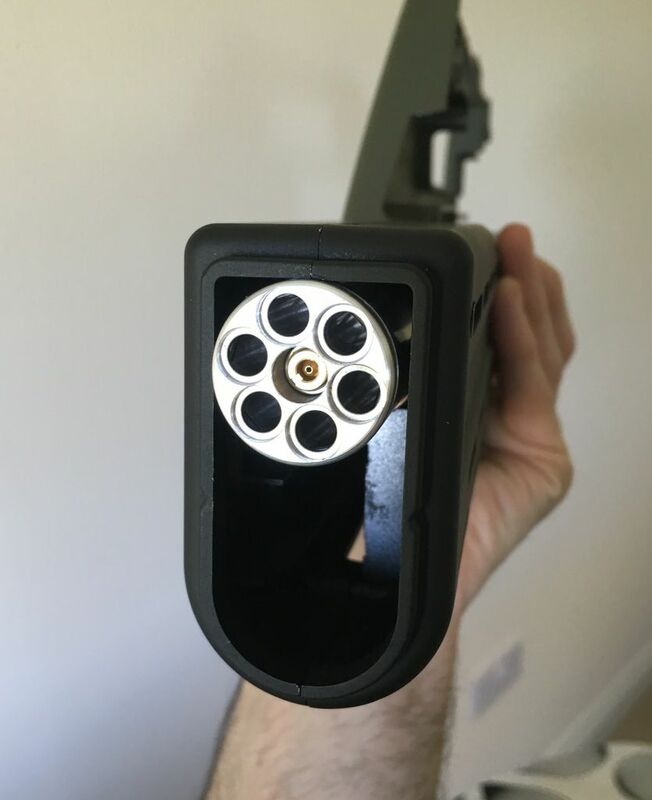 Correct, personally, I doubt that one person in a thousand would even notice that its not accurate enough, and it wouldnt be too hard to make a midcap to feed 95 rounds, so I thing the sensor is the better feature to have, versus a “correct” barrel vent. 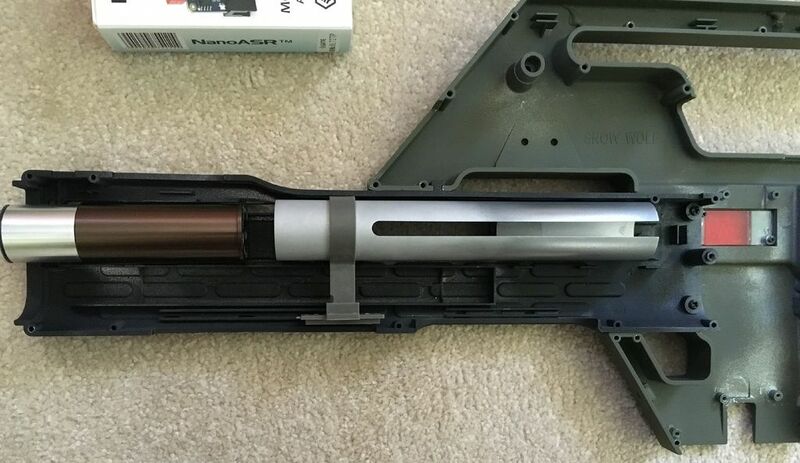 Also, the longest “standard” length inner barrel that the Pulse Rifle can use before blocking the sensor is a 300mm ( I think a custom made 330-340mm would work). 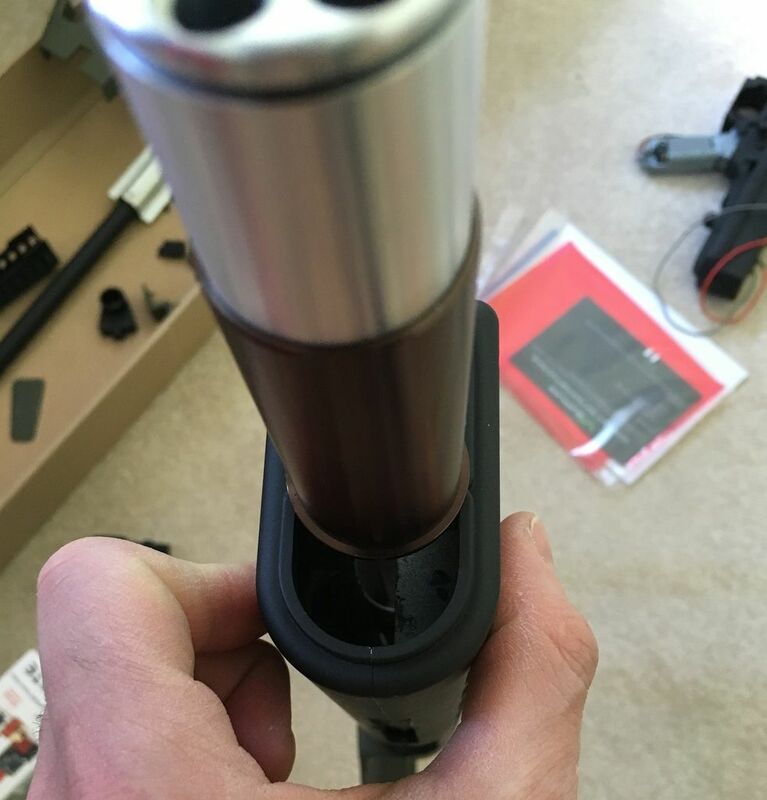 I tried a 363mm inner barrel and it went a little past the sensor.